Relationship charity Relate have published research on the link between debt and relationships. The Trust’s chief executive, Joanna Elson OBE, examines the findings from the research and its recommendations. We know, from what our advisers at National Debtline deal with day in and day out, the damage that problem debt can have on families and relationships. We also know that relationship breakdown can be a big cause of problem debt itself. Last year, it was the fourth most common reason people we helped gave as the cause for them being in debt – accounting for 15 percent of callers to National Debtline. The valuable research that Relate has published today examines the link between debt and relationships and the impact both have on each other. The research draws upon a wide variety of information including surveys of people in debt, feedback from debt advisers, focus groups and national polling.  We were pleased to be able to support this work here at the Money Advice Trust. More than 200 debt advisers trained through our Wiseradviser programme were surveyed as part of the research and I was lucky enough to speak at a panel discussion on the subject during the Party Conference season. The report compiles a range of figures on debt and its impact on relationships, drawing on information from across the debt advice sector. One of the clearest messages to emerge is that debt can have a powerful impact on both the quality and stability of relationships. Over one in ten people have experienced a relationship breakdown due, at least in part, to debt. One in ten people argue with their partner about debt or finances at least once a fortnight. Conversely, negative relationship dynamics were shown to actively worsen and create debt problems. The evidence shows that the income shock of relationship breakdown can be a major reason why people accrue debt. This is reflected in the stories our advisers hear at National Debtline on a daily basis. The research also shines a spotlight on relationship dynamics, with couples who make decisions together experiencing fewer financial problems when making financial decisions and a greater ability to then deal with debt. Another area highlighted in the report is debts that have been hidden from a partner, which can be particularly problematic for relationships and the ability of couples to deal with financial difficulty. The research shows that almost half of people who had contacted debt advice had hidden debt from a partner. Debt advisers outlined how they frequently encountered this in their work, with one in three saying they often come across hidden debt as an issue, and describing how this makes supporting clients with debt more difficult. The research makes a number of recommendations on addressing these findings, including for relationship support and debt advice providers to work together more closely. Importantly, the report recommends workforce training for debt advisers and relationship support practitioners, on the links between finances and relationships. Here at the Trust, we are looking forward to working with Relate on how we can take this forward through our Wiseradviser training programme. We know that after contacting National Debtline 93 percent of callers reduced or stabilised their debt while 77 percent said it had had a positive impact on their emotional and mental health. But more can be done. In order to give the best possible service to the people our services help – both debt advice agencies and relationship support providers need to raise their game. Relate’s report is an important step forward to achieving this – and the challenge now is to turn these recommendations into practice. 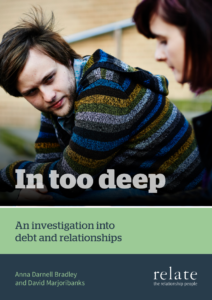 Relate’s new report,’In too deep: an investigation into debt and relationships’, can be downloaded here. For more information on the Money Advice Trust’s Wiseradviser training see www.wiseradviser.org.